There’s no sense in sugarcoating this one: it’s going to be rough. While it goes without saying that you have to cross off about 20 teams when it comes to previewing their playoff chances, and necessarily have to consign at least a half dozen or so of those to being near the bottom of the league, most of the teams can, at least, find reasons to feel optimistic, even if we expect them to be abysmal — whether it’s a young quarterback, a talented, developing defense, or some sort of ridiculous gamebreaking running back, most of your run of the mill 4-12 teams have something to hang their collective hats on; a harbinger of better things to come. 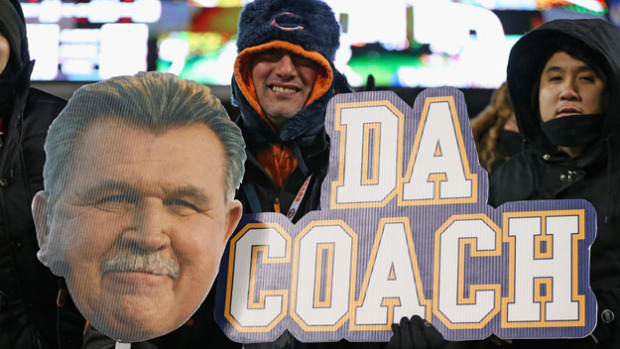 The 2015 Chicago Bears have nothing like that. From their overpaid, overrated, and perpetually pouting QB, to a talented running back who they’ve all but wasted the best years of, to a defense that has gotten marginally younger but not significantly better than last season’s disaster, all signs point to “Da Bears” looking up at the other three members of the NFC North all season long. Before we dive into player personnel changes, it’s important to note the coaching shakeup after last season’s 5-11 debacle. The offensive guru you’d never heard of before 2013, Marc Trestman, is out. So too are his many innovative innovations which didn’t translate from the CFL to the NFL. Funny how that happens. 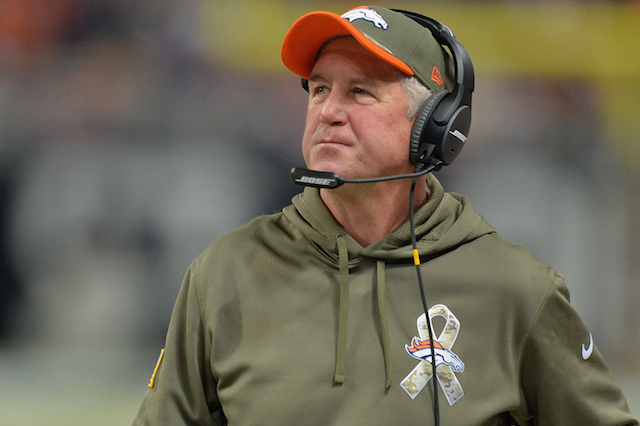 In his place has come John Fox, a perfectly good coach if you happen to have a very good team, as well as offensive coordinator Adam Gase, who could either be really smart or could have had his career bolstered working with some guy named Peyton in Denver. The real coup is new defensive coordinator Vic Fangio, architect of those fearsome 49ers defenses of the past several years. If this team has any shot of getting back to a level of contention where it can disappoint its fans in January, rather than November, it’s rests with Fangio. (via free agency and trades) — RB Jacquizz Rodgers, WR Eddie Royal, TE Bear Pascoe, G Vlad Ducasse, C Will Montgomery, DE/DT Jarvis Jenkins, DE/OLB Pernell McPhee, DE/OLB Sam Acho, ILB Mason Foster, CB Alan Ball, S Antrel Rolle. OUT: WR Brandon Marshall, C Roberto Garza, C Brian De La Puente, DT Stephen Paea, OLB Lance Briggs, ILB D.J. Williams, CB Charles Tillman, S Chris Conte, S Danny McCray. When you still have an offense that features RB Matt Forte and WR Alshon Jeffery, your gripes are going to fall on mostly deaf ears, but QB Jay Cutler actually may have a little bit more reason to feel sorry for himself after this offseason’s haul, or lack thereof. Langford and Rodgers will do a good job of spelling Forte, and Kevin White and Eddie Royal do round out the receiving corps pretty well, but depth alone isn’t going to help the Bears pull up from 27th in rushing. They need White to live up to his 40-yard dash time. They ranked 21st in total offense, 23rd in points per game with 19.9, and were just the 15th ranked passing attack despite featuring pass catchers such as Marshall, Jeffery, Martellus Bennett, and Forte last season. The offense was pedestrian in every sense of the word and it’s unclear, even with some changes that have been made along the offensive line, that they can do much to remedy an offense that turned the ball over 29 times last season – including 18 Cutler picks. Even the 41 sacks they surrendered wasn’t a terrible number. As far as the defense is concerned, the team is switching to a 3-4 after doing shocking little to address their weaknesses there, most notably against the pass. Antrel Rolle will help, but this Bears team was 30th against the pass and overall. They’re putting an awful lot on second-year CB Kyle Fuller. Beyond that, Urlacher era veterans like LB Lance Briggs and CB “Peanut” Tillman are gone and while they’ve got the makings of a more stout run defense thanks to additions like DE/DT Jarvis Jenkins, DE/OLB Pernell McPhee, and DE/OLB Sam Acho (as well as second-round pick Eddie Goldman), the Bears were already 17th against the run. Maybe their plan is to be so tough to run on that it helps their secondary? For the fans’ sakes, let’s hope so. The schedule isn’t great. It comes in at 13th in strength, but includes 2014 playoff teams Indianapolis, Cincinnati, Arizona, Seattle, and Denver, bubble contenders Miami, Kansas City, San Diego, Minnesota (twice), and maybe even Cleveland, and we haven’t even mentioned the combined four games against Green Bay and Detroit, the over/under of which has got to be about 3.5 losses. There’s Oakland, Tampa Bay, Washington, and a way worse San Francisco team looming, but it’s very possible that the Bears don’t improve upon last year’s 5-11 mark. Whatever they manage to come up with, you can take one thing to the bank: Jay Cutler won’t look happy about it. Prediction: Perhaps Vic Fangio’s genius is being criminally underrated here and this will be the worst pick of all, but barring some supernatural resurrection of their defense – and a general steadying of their offense – we’re saying the Bears nosedive to 3-13.